Calling all wine lovers! Make your reservations for a trip to Lake Erie Wine Country and enjoy a taste of the local grape harvest. The wineries of Lake Erie Wine Country are currently preparing for their two Harvest Celebration Weekends, November 4-6 and November 11-13. Guests of this celebration will also experience the picturesque landscape of the Chautauqua / Lake Erie region. WOODBURY’S GEWRZTRAMINER (2011) IS A HIGHLY PERFUMED AND FLOWERY BOUQUET SELECTION, WITH A BALANCE OF FRUIT AND ACIDITY. Served lightly chilled, this wine is an excellent complement to any rich and spicy cuisine and would pair well with our Herb Garden Pasta dish, as well as our Cajun or Au Gratin Gulf Shrimp and Sea Scallops. Located in Fredonia, N.Y., the Woodbury family has been in the area since 1910, and has been producing wines since the 1970s. For more information on this local winery, please visit Woodbury Vineyards online. 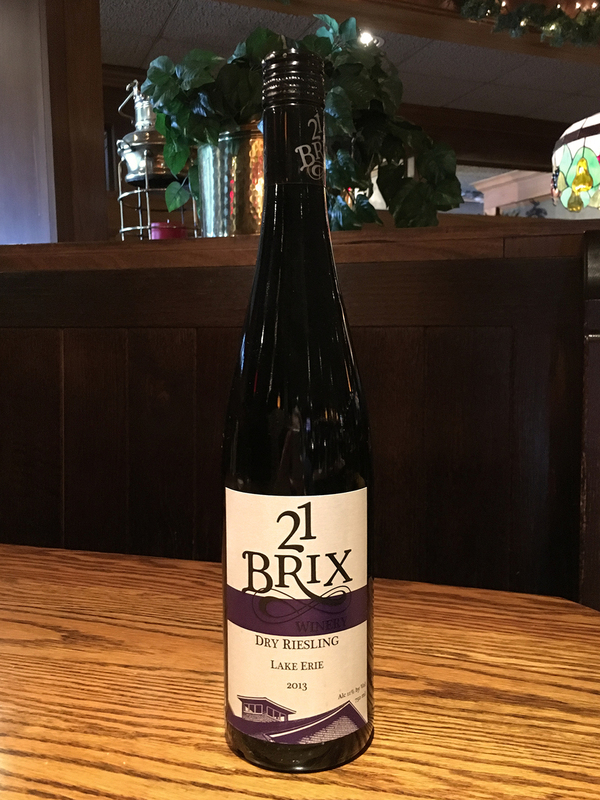 21 Brix Dry Riesling is an award winning, local Lake Erie wine. This Dry Riesling (2013) is estate-grown from the 21 Brix Green Vineyard and has won numerous awards in wine competitions: three gold medals, eight silver, and one bronze. It displays aromas of fresh-cut peaches and lemon zest, with a crisp finish and would be an excellent pairing with our Cajun Gulf Shrimp, Shrimp Scampi, or Horseradish-Crusted Salmon dishes, as well as our Chicken Rosa and Chicken Cordon Bleu. One of the recent additions to the Lake Erie Wine Trail, 21 Brix Winery, located in Portland, N.Y., has been operating since 2011. For more information on this local winery, please visit www.21brix.com. This award-winning Dry Riesling is available at Webb's Captain's Table by the bottle or glass. The 2013 Barrel Select Cabernet Sauvignon by Liberty Vineyards is a dry wine, that features cherry and dark fruit notes. This wine is an excellent pairing with our famous prime rib, or a filet mignon topped with sauteed mushrooms and a bourbon peppercorn sauce. It can also be paired with our Smothered Chicken, which is a boneless breast of chicken topped with mushrooms, onions, green peppers and Colby-jack cheese. Located on Route 20 in Sheridan, NY, Liberty Vineyards excels in producing a Cabernet Sauvignon that appeals to wine connoisseurs. For more information, please visit Liberty Vineyards online. This wine is available by the bottle as well as glass at Webb’s Captan’s Table. Liebestropfchen, also referred to as “Little Love Drops” is a semi-sweet wine by Johnson Estate. This rich and fruity selection, produced from the Delaware vine, should be served at cool room temperature or over ice. 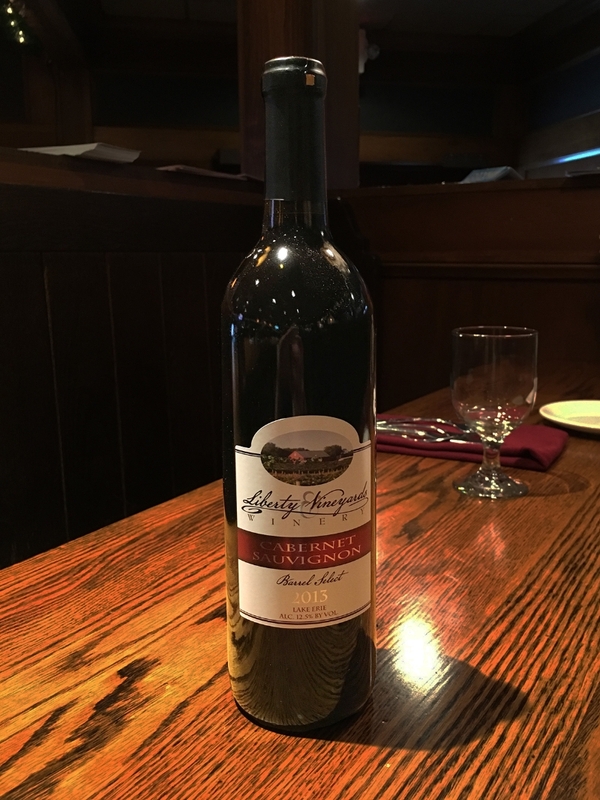 While some people believe this wine to be too sweet for dinner, it is an excellent selection that compliments any of the homemade desserts on the menu at Webb's Captain's Table, especially our Homemade Cheesecakes. Johnson Estate, located in nearby Westfield, NY has been operating since 1961, and is the oldest estate winery in New York state. For more information, please visit Johnson Estate online. Liebestropfchen is available at Webb's Captain's Table by the bottle and the glass.